New York. Chicago. San Francisco. 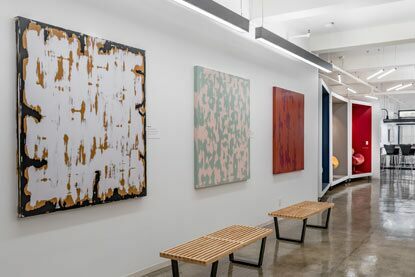 We love hosting and meeting with the architecture and design community in our state-of the art facilities. 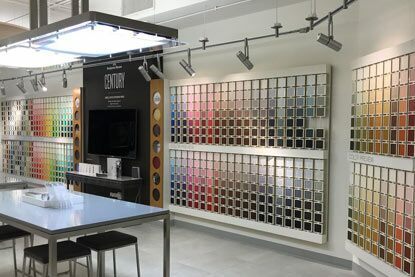 Next time you are in Manhattan, visit us in our 3,300 square foot flagship showroom, located in the New York Design Center and profiled on this page. You’ll find art, inspiration, advice, education and more. 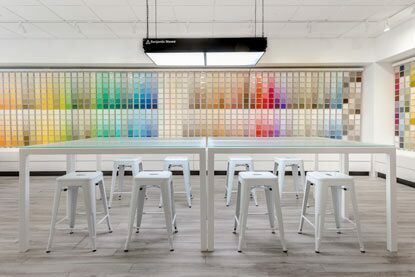 In our Color Decision area, you’ll find two giant worktables perfect for exploring paint color, a color selection light box that helps view colors under ideal lighting conditions, and product sample boards that make it easy and engaging to mix and match colors with ease. 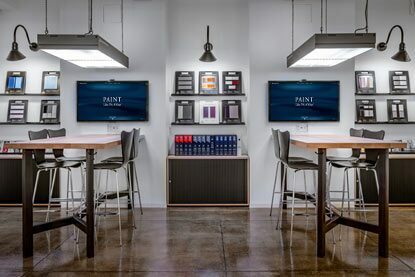 Our high-tech color selection light box, worktable, 4000+ designer color sheets and countless color chips are located in a space reminiscent of a bank. 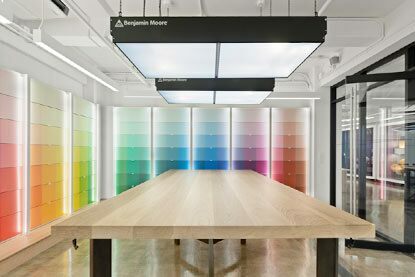 With its cutting-edge tools, The Color Vault makes it easy to view and source a wide array of Benjamin Moore colors. Our classroom area hosts up to 50 people for Benjamin Moore educational events, presentations and meeting space. 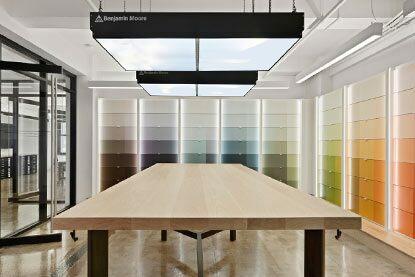 Interested in a CEU or presentation by a Benjamin Moore Architect & Design rep? Reach out to the Showroom Manager via email by location below, or contact us. 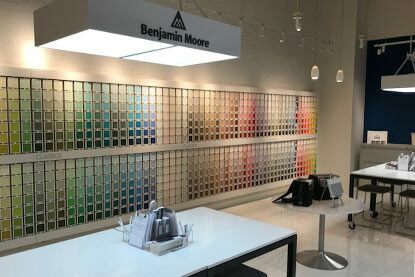 Regularly refreshed artwork and curated displays featuring Benjamin Moore product and color, including the always-celebrated Benjamin Moore Color Trends annual palette, fill the space. 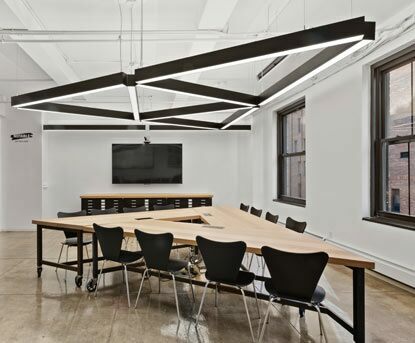 Our Architectural and Design Representatives can support your educational needs, provide product and color support and host industry events.